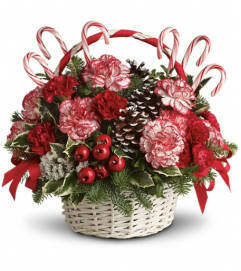 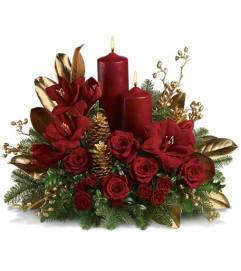 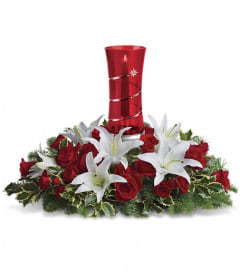 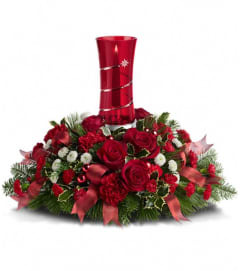 This tall display of fresh red and white flowers and evergreens will fill a room with the festive fragrance of Christmas. A big red bow adds a celebratory touch of class. 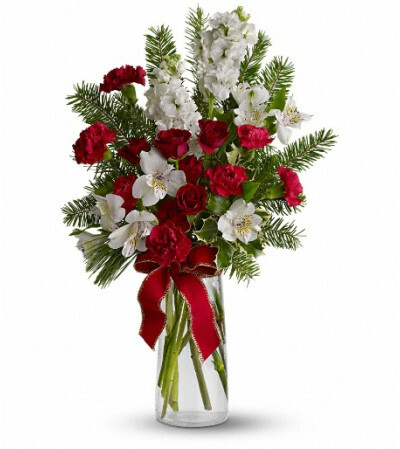 A mix of fresh red and white flowers such as roses, stock and alstroemeria is delivered in a tall glass vase accented with a red ribbon.